When a package arrives from her travelling mum, Sarah Rothe knows there's going to be inspiration inside. 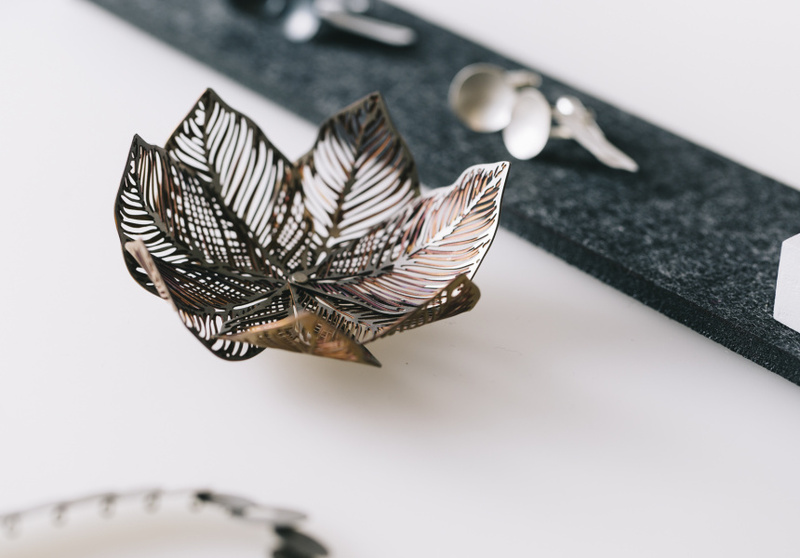 Parcels of butterflies from the Daintree Rainforest and intricate leaf skeletons have both sparked entire jewellery collections. 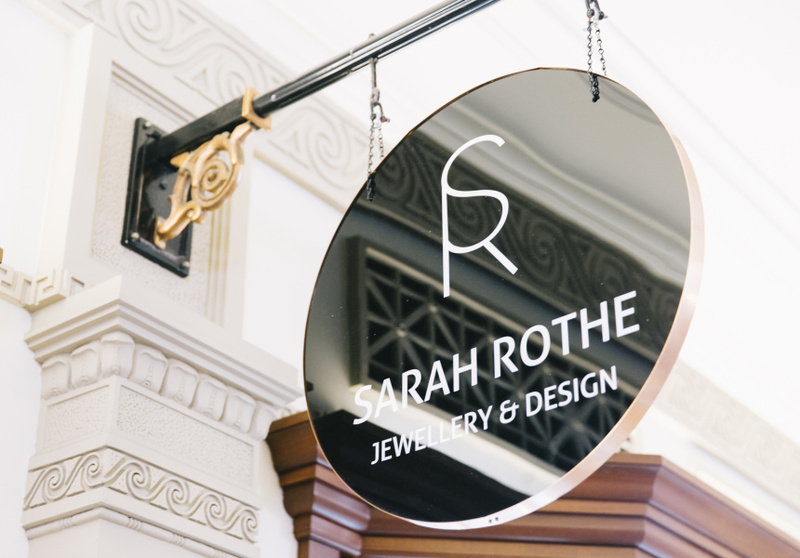 Locally designed and manufactured, Sarah Rothe Jewellery presents contradictions. She translates intricate paper cuttings into etched titanium, and threads delicate chains with colourful geometric shapes. 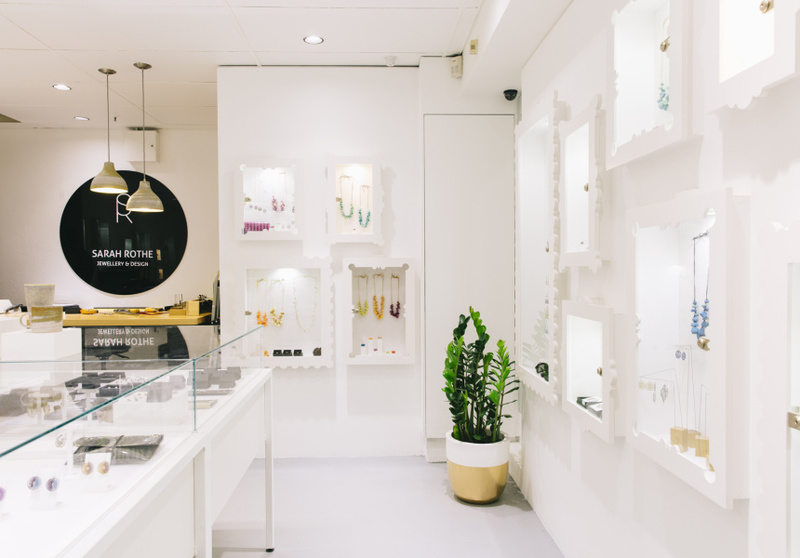 Though the brand has had a distinct voice in the local jewellery landscape since Rothe’s 2006 graduation, 2014 saw her move away from design markets and open her flagship city store. Rothe designs intelligently, ensuring waste is minimised during the manufacturing process and that materials are used effectively. 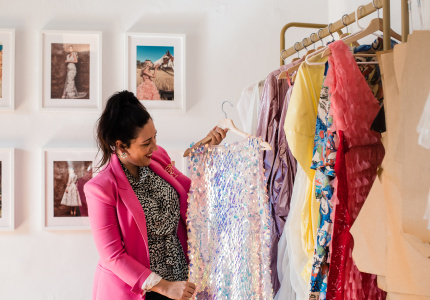 She doesn't follow fleeting trends, but instead focuses on singular motifs explored in various forms – bold exhibition pieces distilled into everyday lines. 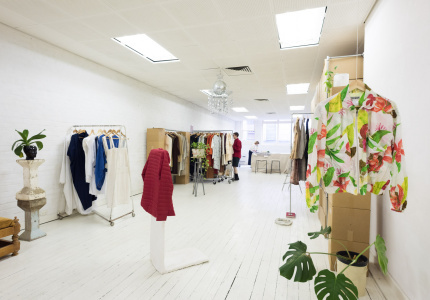 Alongside the namesake label, the store also features Adelaide-based designer Kitty Come Home, stoneware from Ulrica Trulsson, and jewellery from Zoe Grigoris and Erica Sandgren. 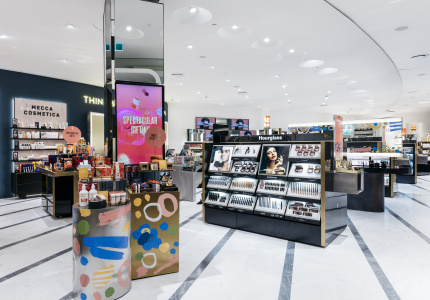 Balance is at the heart of the designs in this store – fineness versus sturdiness, delicacy versus strength – but the results are inspiring.